For the 10th straight year, an annual survey by the ManpowerGroup, a human resource consulting firm, reveals that one in three U.S. employers report difficulties finding employees, primarily due to talent shortages. The data showed two prominent pieces of information. The problem is getting worse, and employers aren’t doing much to solve it. Among U.S. employers, 48 percent acknowledge that talent shortages have a medium to high impact on their business, but few are putting talent strategies in place to address the problem. 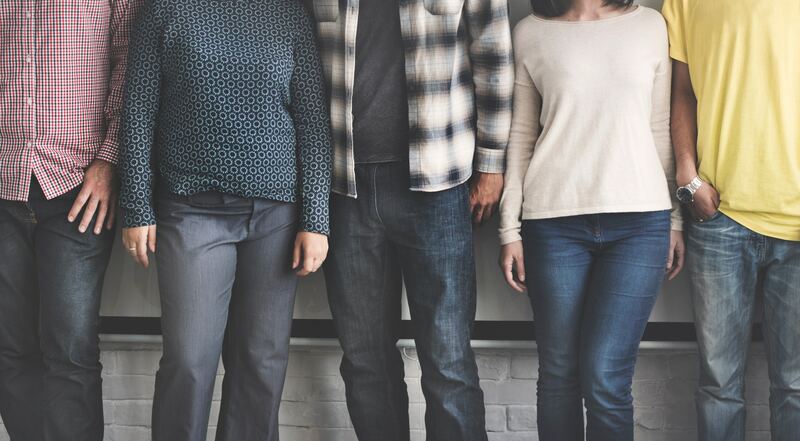 One in five employers is not pursuing strategies to overcome talent shortages, despite the negative impact on their business. While it’s a nuisance today, if not addressed, the lack of a talented workforce could have wide-ranging consequences in the very near future. Could it be that employers aren’t sure how to solve this issue? Typically, companies start new employees at or near minimum wage, provide poorly-designed on-the-job training, start them on a second or third shift or a mixed hours schedule, and treat them like a human robot in a job with no meaning or purpose from the new employee’s perspective. The poor treatment is a demotivating mixture of poverty-level wages, poorly designed training, chaotic scheduling and is another reason for a new employee to keep options for a different job opportunity. The old rule of thumb for many employers has been to drive down wages and reduce operating costs. Minimizing operating costs is typically a function of reduced sales or margin erosion. This short-term mentality creates a vicious cycle of disinvestment in their workforce in search of higher profits. Has the “doing more with less” mentality run its course? Consider the findings published by Massachusetts Institute of Technology professor Zeynep Ton. In her book The Good Jobs Strategy: How the Smartest Companies Invest in Employees to Lower Costs and Boost Profit. She argues a company can adopt a low-cost strategy which promotes investments in employees. Ton says treating employees as assets in which companies invest resources into can foster an environment for profit, efficiency, and better customer service. This short-term mentality creates a vicious cycle of disinvestment in their workforce in search of higher profits. What if the focus shifted from lower costs to long-term, smarter investments? Create products and services people want to buy at a fair margin. Provide jobs people want to keep. Understand labor as a strategic asset, not a cost to be minimized. Doing so will allow everyone, from customers to shareholders, to fare better over the long-term. 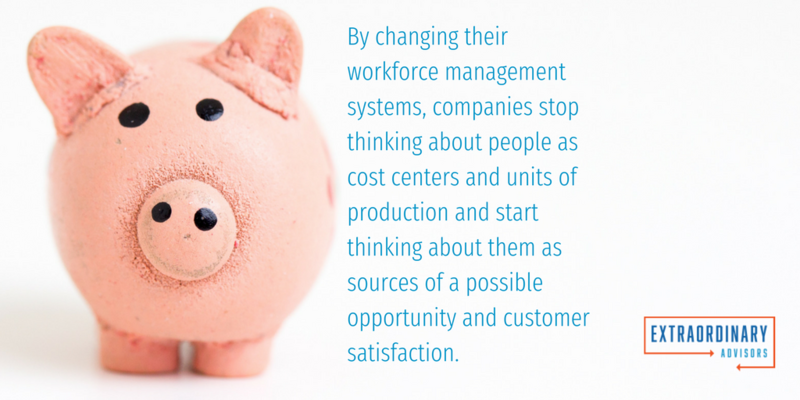 By changing their workforce management systems, companies stop thinking about people as cost centers and units of production and start thinking about them as sources of a possible opportunity and customer satisfaction. The result of this shift by employers is that employees are more productive and satisfied when they can get their work done, have the opportunity to focus, and feel connected to a higher purpose at work. Ton’s counterintuitive money-making approach finds its roots in a business model that controls costs, offers a living wage, and satisfies customers. In retail, for example, controlling costs starts with offering a smaller range of products, fewer promotions, and limited hours. When we think of Costco as a big-box warehouse store, consider it is also a limited-selection, bulk-buy store, which pays employees a living wage significantly more than its competition. There are only a few brands of food, clothing, cleaning products, etc. It offers limited promotions; its hours are shorter than most retailers. Costumers pay an annual “club fee” to shop there, and its public stock outperforms Walmart’s on Wall Street. Ton freely admits borrowing liberally from the Toyota Production System. This method incorporates such elements as employee decision making, giving employees a say in the execution of the strategic vision of the company. The method empowers them to bring ideas and change options to management. Instead of specific jobs, in most cases, employees shift positions based upon workflow. You don’t hear, “It’s not my job” when shopping at Trader Joe’s, a firm studied by Ton. When someone rings the bell indicating help with cashiering, employees closest to the checkout ring up the customer. Any small, successful manufacturer already cross-trains employees out of necessity. In many shops, machinists can weld or do CMM quality checks. By being involved with several steps of the manufacturing process, employees can provide “hands-on” experience to management. Overstaffing reduces costs. Skeptical? The “extra” staff doesn’t sit around. They participate in training and continuous improvement geared to improving the workflow. Coupled with cross training, they move to high-workload areas. Overstaffing also reduces the need for overtime, creating higher work-life balance for the employee. The Good Jobs Strategy is clear: Companies that control costs and consider employees as assets, not expenses, boost customer satisfaction and loyalty by producing quality products — while bolstering their profits.